← Frozen: what is it about this movie? Today I dipped my toes into the waters of self-publishing and published a novella on Amazon! (For those of you who prefer other platforms, no worries, I have an EPUB version as well and will be publishing it post haste at B&N and other vendors.) While it’s a fair bit of work, it was also a lot of fun. I have a technical background, including a degree in Computer Science, and I worked in e-publishing for 8-9 years, so this stuff is pure joy for me. 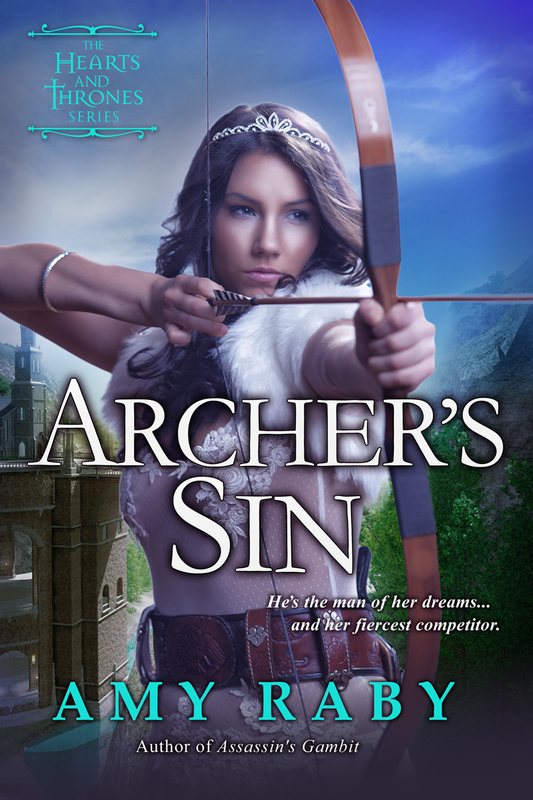 ARCHER’S SIN is a companion piece to my Hearts & Thrones series. It’s not necessary to read it to follow the overall storyline of the novels (in fact, like this novella, each novel is a stand-alone story), but it tells the story of two supporting characters who will appear later in PRINCE’S FIRE, which comes out in April. 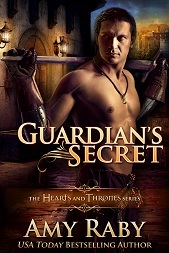 Chronologically, this one fits between ASSASSIN’S GAMBIT and PRINCE’S FIRE, so if you want to check in on what’s going on with Lucien and Vitala a few years into their reign, this novella gives you some hints. ARCHER’S SIN is a short work of about 100 pages, a quarter of the length of one of my novels. The heroine is a world-class archer who’s come to Kjall to enter a tournament and hopefully get a job, because she’s out of work. She falls in love with a man while she’s there. The problem? He’s her top competitor in the archery tournament, and neither of them can bear to lose to the other. ARCHER’S SIN is on sale now for 99 cents at Amazon, coming soon to other vendors. This entry was posted in Archer's Sin, Books, Fantasy and tagged archer's sin, epic fantasy, fantasy, fantasy romance, novella, romance, self-publishing. Bookmark the permalink. 7 Responses to ARCHER’S SIN out today! Off to Amazon to add Archer’s Sin to my ever-increasing TBR collection. I wonder how many years it would take me to catch up–if I stopped buying books? Like compound interest. Not gonna happen. Great adventure here! Is there room for the Punchyish of nature? Congrats, Amy! Just downloaded. You did a fantastic job of making the cover of ARCHER’S SIN look original but similar enough to your novels so that it’s clear it’s part of the same series. Would love to hear more about this project — things you’d do differently, things you’d do the same — if you feel like sharing and are looking for future blog post ideas. In the meantime, enjoy your new hybrid author status! This book cover is beautiful. Looks Great! Downloaded it today and just finished it – a great read, fully as good as the first two novels! Wonderfully engaging characters, too! I cannot wait to read “Prince’s Fire”!